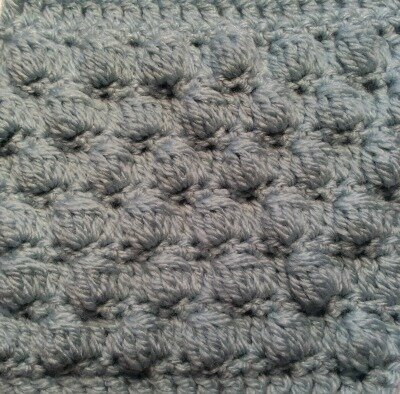 Textured crochet stitches are where you put all your basics together and create new beautiful stitches. 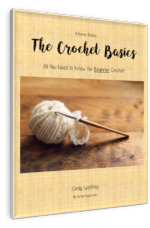 There are practically endless ways to combine your basic crochet stitches. By using the skills you’ve already learned you can accomplish any stitch out there. These stitches will not only add texture to your piece it will add dimension and depth to your projects as well. Most are quite simple. Some can be a bit tricky and will require some practice. They’re all worth the effort, though. You can even create your own designs with them! You’ll see that they add lots of fun to projects. 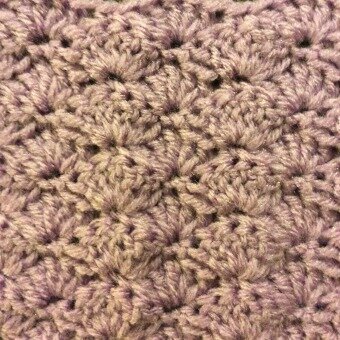 It would be impossible to cover every textured crochet stitch out there. I’m sure there’s probably someone out there right now thinking up a new one. There’s just no limit to the patterns and textures you can create. It’s exciting! I’ll cover just some of the most common stitches here. Crochet Cluster Stitches are used quite a bit in crochet. 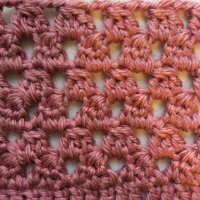 There are 4 basic stitches in this group; Crochet Cluster Stitch, Crochet Bobble Stitch, Crochet Puff Stitch and the Crochet Popcorn Stitch. They're all created in a similar way, with several unfinished stitches worked into the same chain or space and then finished together at the top with a single stitch. They are easy to work and add a lot of texture and dimension that I talked about above. 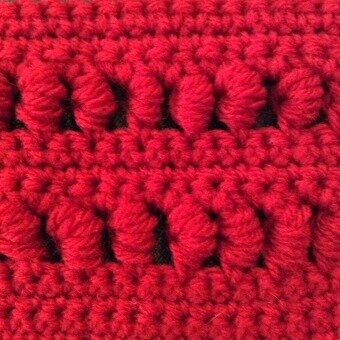 Raised crochet stitches create ribs in your crochet piece and gives it a great look and feel. 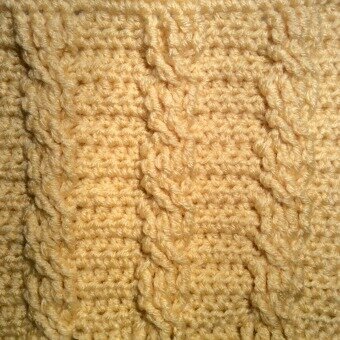 They are very simple to work because they are the same basic stitches you've already learned. The position of where they are placed is what gives them definition. 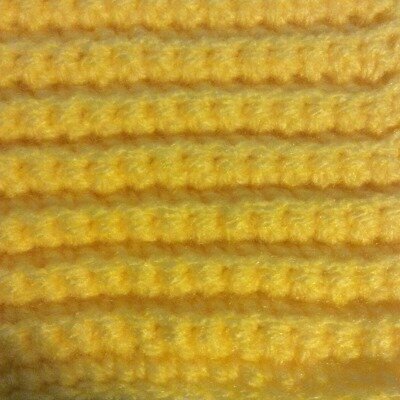 Ridge Stitches are worked in the front or back loops of the stitches from the previous row, while Post Stitches are worked around the posts of those stitches. 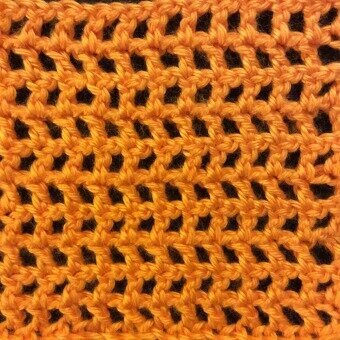 Crochet Mesh creates an open, airy fabric which is often used as a background for other embellishments and surface crochet. It also works great all on it's own. It's quick and easy to learn and quick and easy to work. There are three basic variations, Basic Crochet Mesh, Off-Set Crochet Mesh, and the Crochet Trellis. Keep in mind that there are endless variations to all of these stitches. I'm just sharing the very basics. 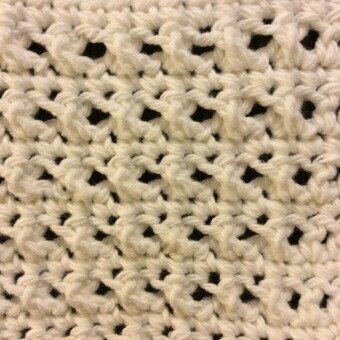 The Crochet Shell and V Stitch are probably 2 of the most common crochet texture stitches used. They are often combined with other stitches in a piece to develop wonderful designs and creativity, giving it a more intricate look with little effort. 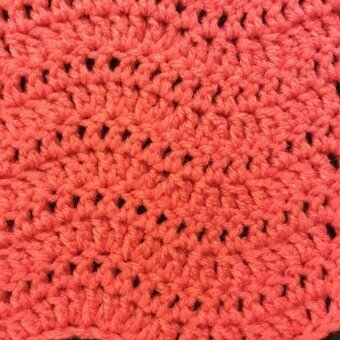 The crochet shell stitch can give any project great depth and texture, especially when different colors are used. 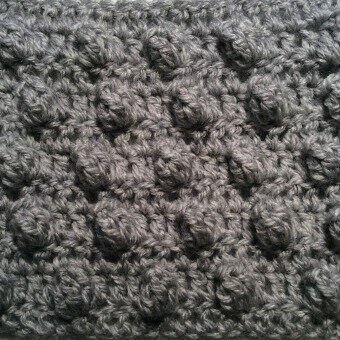 It is also the basis of the crochet fan stitch. 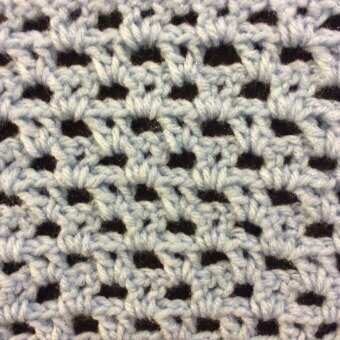 The v-stitch can give a nice variation to your crochet as well. 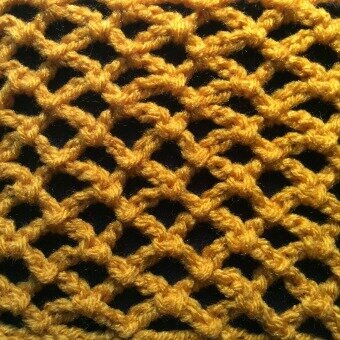 The Crochet Chevron and Wave Stitches make a beautiful flowing pattern in your crochet piece. Normally they are used throughout the entire project. 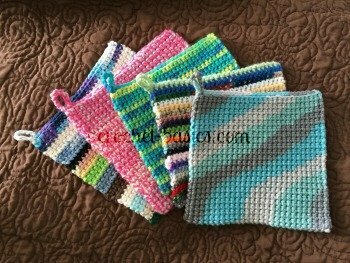 The Crochet Chevron stitch, also called the crochet ripple stitch is especially great when used with different colors, as it often it. 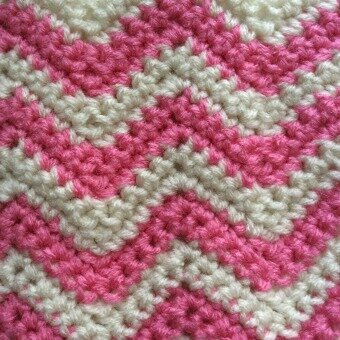 The Wave Stitch is quite similar to the chevron only it is less angular, with a more gradual, smooth flow. 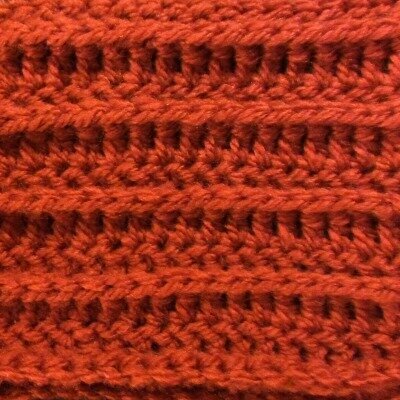 The Crochet Cable Stitch and Crochet Cross Stitch mimic the cables that can be created in knitting. They both cross in front or behind other stitches which can make them a little bit trickier to work. Don't let that stop you, though. 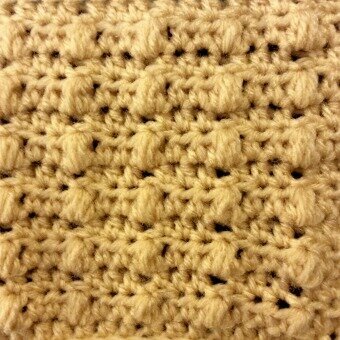 The crochet cable stitch and crochet cross stitch add wonderful texture and design to your crochet. 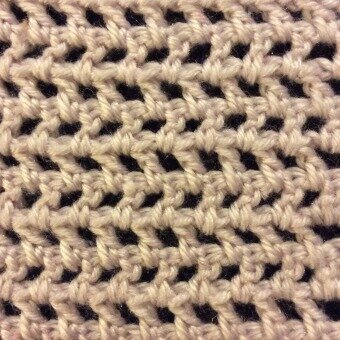 I've put 3 stitches in this Advanced Crochet Stitches group (for now); The Crochet Spike Stitch (also known as the Dropped Stitch or Long Stitch), the Crochet Loop Stitch and the Crochet Bullion Stitch. These 3 stitches are really amazing and I couldn't leave them out. They are more difficult ones to work, but when done correctly the finished product is always beautiful. They each add a different dimension to your work in their own way, which makes them so worth the extra effort to learn them. 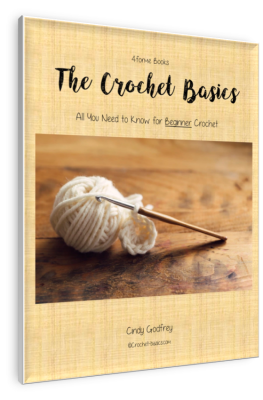 Get started learning these Textured Crochet Stitches now! You'll love it!